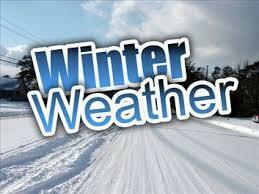 The Parish follows Fairfax County Public Schools regarding closings due to inclement weather. Closings are announced on the Parish Voicemail message by calling the Parish Office at: (703) 820-7111. Closings include: evening and weekend activities on Parish and School grounds. If Fairfax County Public Schools cancel evening or weekend activities due to inclement weather, our Meeting Rooms will be closed, and the activity or event will be canceled. For cancellation of Religious Education Classes, parents are notified directly. For information on any scheduled Ministry events that may be cancelled, please contact the Ministry, and NOT the Parish Office.